Wed., Aug. 24, 2016, 11:15 p.m.
SEATTLE – For the first time in a month, the offense that helped lift the Seattle Mariners back into playoff contention went absent and on a day Hisashi Iwakuma was far from his best. 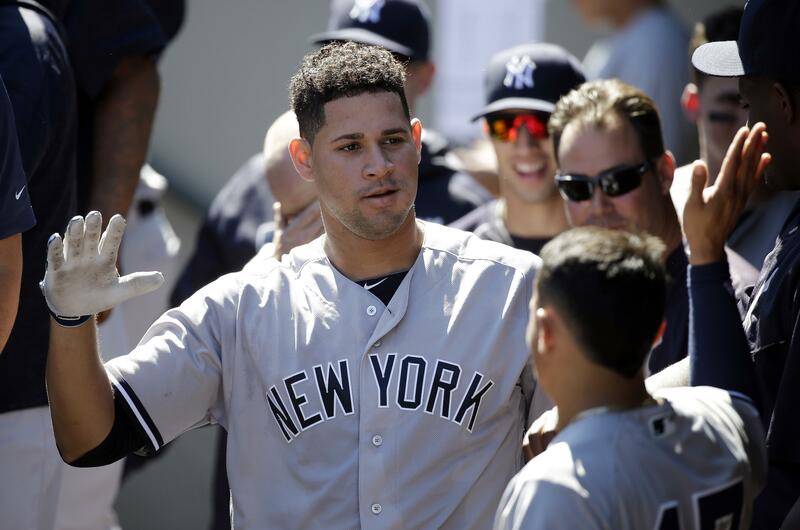 Rookie Gary Sanchez kept up his torrid stretch with his seventh home run in the past nine games, and Masahiro Tanaka won his fourth straight start, leading the New York Yankees to a 5-0 victory over the Mariners on Wednesday. Tanaka (11-4) threw seven innings and got the better of the Mariners and Iwakuma, his former Japan league teammate. Seattle was shut out for the first time since July 24 and for just the fifth time all season, missing out on chances early to get to Tanaka. While the Mariners were silent, Sanchez continued to slug his way into the record books. Sanchez homered into the second deck in left field in the first inning on the first pitch from Iwakuma, his ninth home run in 18 games since joining the Yankees lineup on Aug. 3. Sanchez added a double later in the game and his intentional walk in the seventh inning led to Mark Teixeira’s RBI single for a 4-0 lead. The Mariners took no chances with the new catcher the next time, either, again intentionally walking him. Iwakuma (14-9) lost his second straight start despite giving up just three earned runs. It was the second time he matched up with Tanaka and 13th time in major league history two Japanese pitchers met. Tanaka also got the victory in April when the two met at Yankee Stadium. Sanchez got the Yankees started, but Iwakuma was not sharp with his command. Managing to get through six innings and save some arms in the bullpen was little consolation for Iwakuma. Tanaka was shaky early, escaping jams in the second and third innings before rolling the rest of the way. He followed up 7 2/3 shutout innings in his last start against the Angels by keeping Seattle off the scoreboard, allowing six hits and striking out five. Tanaka did issue his first base on balls since July 27 when he walked Seth Smith in the third inning, and snapped his streak of three consecutive starts with at least eight strikeouts and no walks. After Ketel Marte bunted for a single with one out in the fifth, Tanaka retired his final eight batters. Dellin Betances got the final out of the eighth and pitched the ninth for his sixth save. Seattle’s best scoring chance came in the second inning when Leonys Martin missed a two-run homer by inches, settling for a line drive single off the top of the fence in right field and advanced Adam Lind to third base. Tanaka got two groundouts to end the threat. Published: Aug. 24, 2016, 11:15 p.m.